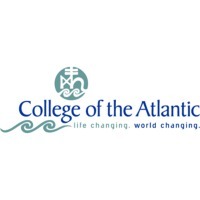 Review: The College of the Atlantic, founded in 1969, is a private, alternative liberal-arts college located in Bar Harbor on Mount Desert Island, Maine, United States. It awards a bachelor's degree and a master's degree solely in the field of human ecology, though with a variety of emphases. The college is small, with approximately 341 students and a full-time faculty of 27, and 15 part-time faculty. Its curriculum includes student-directed projects, community involvement, and interdisciplinary learning. Location & access map for "College of the Atlantic"